You don't have to live in pain! PAHC can help. Call us at 719-473-0399 today. For more information or to schedule an appointment with our Colorado Springs chiropractor, call 719-473-0399 today! Dr. Sean Billings has been serving Colorado Springs and the surrounding area since 2002. Premier Alternative health gives quality care, we are not a chiropractic mill where you feel like a number. Our office is straight forward, and upfront about your needs. We do not sale unneeded long treatment plans. We are in network with almost all insurance companies, and will bill them directly. We work with attorneys, workman’s compensation claims, auto insurances and have reasonable cash pricing and there are no hidden costs to surprise you. We are a research based clinic that follows established treatment guidelines. Before you leave you will be evaluated by the doctor, given a diagnosis and treatment plan, and most of the time, treatment starts on the first day. X-ray are only taken when need, and more importantly if additional testing is need such as MRI, CT, or NCV EMG, Dr. Billings will make the proper referral. We offer chiropractic care, acupuncture, rehab equipment, treatment modalities such as tens units, electrical stimulation, ultrasound and more. We get you the treatment you need. In our clinic, we work closely with our other specialists such as primary care doctors, massage therapist, surgeons and pain specialist. We are not a fast food chiropractic office. We can manage your care to ensure optimum quality of life. If you have not been to a chiropractor before and want to find out more, please email us or call 719-473-0399 to receive the answers to your questions from our experienced team. We also welcome referrals, so we invite you to share our chiropractic and wellness information with your friends and loved ones. Clinical Director for Premier Alternative Health Center since 2002. Certified Chiropractic Sports Physician (CCSP), Fellow of the International Academy of Acupuncture (FIAMA). Specializes in Sports injuries From Triathlons to MMA athletes. Active high school and D2 Wrestling official. "My health has improved considerably thanks to Dr. Billings!" "Dr. Sean Billings is fantastic! He is dedicated to making you feel as good as new. I would and do recommend him to anyone looking for a chiropractor or acupuncturist. You are in good hands with Dr Billings." "My husband and I have searched and searched for a doctor that suites our chiropractic health needs, and finally we have found Dr.Billings. Dr.Billings specializes in not only chiropractic care, but in acupuncture as well! We have gone back 3 times already, and are very pleased. His adjustments are amazing, and the way he utilizes acupuncture in his sessions just makes everything feel even better. My husband has scoliosis, and is so relieved to have someone that understands his condition and can provide him with relief on a bj-weekly basis. If you are in pain, then you must see Dr.Billings!" "This man is amazing! Not only does he make you feel at ease, he is confident in his abilities. After 6 weeks of trying chiropractic adjustments for my shoulder and not getting any relief, he recommended acupuncture. Three days after my first treatment I was finally pain free. I was completely shocked myself, but a year later I'm still pain free 98% of the time. Thanks Dr. Billings." "I've been to several chiropractors in Colorado Springs. I started going to Dr. Billings about 6 years ago. He's knowledgeable and efficient. I never feel rushed, but I never have to wait long either. The office staff is very friendly and helpful as well." "It really is a great place to find overall better health. With chiropractic, acupuncture and nutrition available you feel like you are being seen as a whole person not just one symptom with one healthcare option. It's a great place and I would defiantly recommend it." "Calm, assuring and confident. What are the feelings you want to met with when going to a doctor? I have always been nervous about Chiropractic and having Dr. Billings greet me with a calm demeanor and a warm smile calmed my nerves. He assured by reviewing the x-rays with me and listening to how I currently live and want to live is possible. I gained confidence and through his discussion of treatment, knew that that he was fully capable of working towards a solution to heal my neck/shoulder issues. Honestly, I do not go as often as I should, I have a few other priorities that rank more in my house but I totally recommend him to those that are seeking help in good health." "Always took good care of me and my massage therapist arms. If you happen to be pregnant he's the doc to keep your spine healthy and your growing body active"
"I had a much needed visit with Dr. Sean Billings at Premier Alternative Health Center. Dr. Billings was thorough in his evaluation and excellent in his application. I haven't felt this good since moving to Colorado. If you need a high level Chiropractor in the Colorado Springs area there is only one way to go!" "ALL motocross racers need to look into Accupunture, I'M SOLD ON IT!!!! Talk about quick recovery time! Thanx Sean Billings for getting my back staightened out"
"I am a big fan of Dr. Billings. I just moved back to Colorado Springs and immediately went back to Dr. Billings as he had been my chiropractor in the past. I leave his office feeling like a new woman! His treatments are fast and effective and keep me functioning at a peak physical level. Can't say enough good things about this doctor, his office, his staff and how great the experience is." "I'm glad I'm trying acupuncture with this Dr. He is very personable, educates while he treats and is available the hours that work best for me." "Dr. Billings was the first and only chiropractor I have gone to. He was nice, listened to what I had to say, and then popped my back. I feel like that's pretty standard for chiropractic care. I'm not necessarily sold on it either, but I got what I expected so here are five stars. :) Now off to the masseuse instead!" "Dr. Sean is wonderful!! His knowledge base is amazing and he has a great set of tools (chiropractic, acupuncture, herbal supplements) to keep my body working properly and feeling great!" "Dr B has always done a wonderful job taking care of me for very reasonable prices weather one has insurance or not." "I went to see Dr. Billings after waking up unable to move my shoulders and back for almost a month. I looked like I had no neck and was hunched over. After a month of this just dealing with this, as well as consistent neck and shoulder pain, I decided to put my fear aside and take a friends suggestion to meet with Dr. Billings. And it was the best decision I could have made! Dr. Billings used a number of techniques on my neck and shoulder to get so lessen the problems. 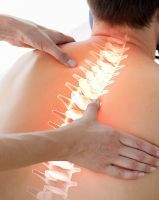 Sensing and knowing my fear of using a chiropractor at all, he always made sure that I was comfortable and explained everything he was going to do before doing." "I was recommended here after a bad car wreck years ago and went in to see Dr. Billings. To this day, I go back to Dr. Billings whenever my back grows sore again. He's quick, courteous and genuinely gets to know you. Going to Dr. Billings means going to a doctor who cares. And the price is cheap for how much he does. "Dr. Sean Billings has taken care of my family for years. I saw him after I was in a car accident and he got me moving again and pain free. after she had been stuck in bed for 2 weeks. Today Dr. Sean is doing a sports physical for my son today. I highly recommend Dr. Billings and Premier Alternative Health." "When other doctors couldn't fix me, Dr. Billings did fix me. I'm now on a path to recovery and highly recommend you visit him for your health needs." "Dr Billings is awesome! I've seen him both for chiropractic and for acupuncture. I've been in 3 car accidents in my life and he helps so much with relieving my pain. His staff is great too, and very friendly. His location is a little far from me, but I don't mind because I know he's the best." "Dr. Billings is so amazing. Cuts through the crap and gets right to work on treating the problem...and it works. He is so great at alleviating pain and fixing things...even if you aren't the greatest patient! I appreciate him so much. Whenever I get myself in a bind and need his help asap, he's always right there to help out quickly and efficiently...and doesn't nickel and dime you to death. Look no further. Reliable, honest and fantastic at his craft." "Diagnostico confiable y exelente terapia,tratamiento natural con un gran beneficio para mi terapia con buen trato para el paciente,acupuntura favoreciendo a mi tratamiento." "Dr Billings is wonderful. I would encourage anyone and everyone to come see him, weather the visit is sure to a problem it for preventative care Dr B is wonderful." "Yo estuve con dolor de cintura mucho tiempo llevo un mes con terapia y me siento mucho mejor el dolor disminulle cada visita."